This photo is a bit out of focus as I took it from a moving bus 4 years ago. I never bothered taking a direct photo of this building because I assumed that they would never touch this one. Well, I guess I was wrong. 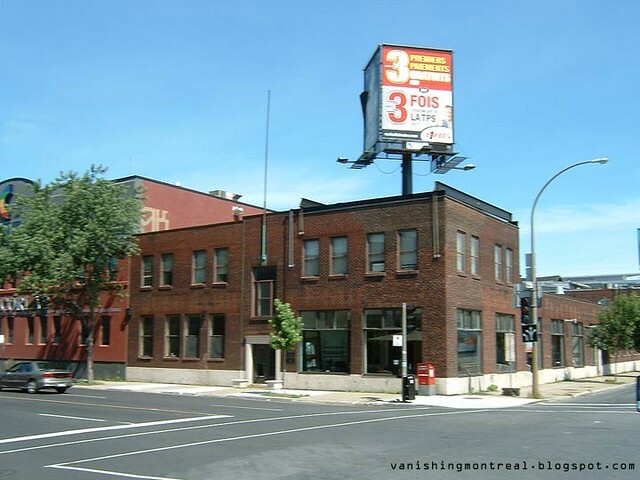 Promoter Luc Poirier got the permit to build a 20-storey high building there. The only condition set by the city for the demolition: they have to keep and integrate the facades on Peel and Wellington with the new building. Wow. This is enough to realize that Montreal has really lost it. These small unassuming buildings are what gives this city, or any city for that matter, character. Erecting another huge bland condo/office/whatever project there is truly sad, and sad for Griffintown.